Benjamin Myers: Christ the Stranger. The Theology of Rowan Williams. As a Rule of Thumb it is more satisfying to read a great theologian in the original, accpeting that it will be difficult to find one’s way initially, than to read an introduction by a lesser theologian. I would say thay Rowan Williams is an exception, which is why I found this book very helpful – Williams writings are so occasional – there is no one central work that helps one get the hang of it, and parts of his more avademic writings are extremely difficult. Myers book accomplishes what at least I wanted from it – I got a map by which to navigate through Williams writings, I can now seek out the articles published in some obscure journal somewhere that interests me, and laregely avoid having to deal with Hegel, both good things. It would have been great to have a bibliography for reference (there exists one in Matheson Russel’s book On Rowan Williams: Critical Essays), but the width of Williams writings are well displayed here. Myers balances biographial data with theological presentation well (mind you, it is a book about the theology of Williams, not a biography) and it is pleasent to read. Those of us that follow Myers now fairly quiet blog (a few years ago when theological blogging was very popular, Myers blog was king) will recognize several of Myers own interests cropping up here (Barth, Melville, Milton), but such indulgences are kept more or less in check. 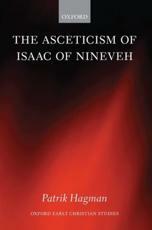 In other words, a well written introduction to one of the most important theologians of our time. Det här inlägget postades i Books read. Bokmärk permalänken.